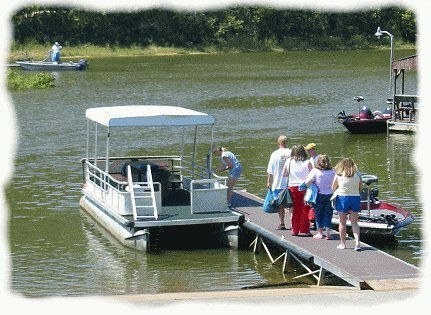 Our Pontoon boats are a great way to relax and enjoy the water. Bring your family, some snacks, a cooler full of refreshments and see the sights and scenes of the lake together. We offer fishing boats and pontoons for rent, so you can putter along or just quietly paddle your way around. Either way you are where you want to be...on the lake!